The Hall of Heroes Museum vast collection of pop-culture memorabilia manages to cover all 75 years of superhero history in comics, television, films, toys, and more. The Hall of Heroes Museum also contains a collection of over 60,000 comic books. Golden Age, Silver Age, and Modern Age titles are all represented, including many of the rarest issues, such as Captain America #1 from 1941, and all of the 1st Marvel Comics titles. Wow. Beyond comics and props, The Hall of Heroes Museum also displays toys and premiums from all eras, including rare tin toys like the Marvel Super Hero Express tin train. Action figures, dolls, and more from the WWII era forward are represented in displays that also include original art comic pages and animation cells from your popular cartoons and comic books from Marvel, DC, Hanna Barbera, Harvey, and more. Online: hallofheroesmuseum.com and also on Facebook! 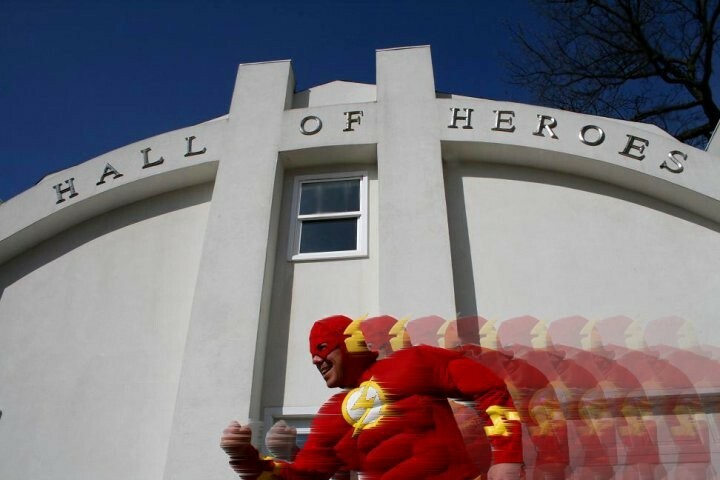 Scottish Bed & Breakfast is just a half-hour’s drive from the Hall of Heroes Superhero and Comic Museum in Elkhart, and would love to host you during your Northern Indiana Amish Country getaway. Allow us to show you what Hoosier hospitality is all about with a stay at Scottish Bed & Breakfast, in Bremen! This entry was posted on Friday, February 12th, 2016 at 10:00 am and is filed under Adventures in Northern Indiana. You can follow any responses to this entry through the RSS 2.0 feed. Both comments and pings are currently closed.